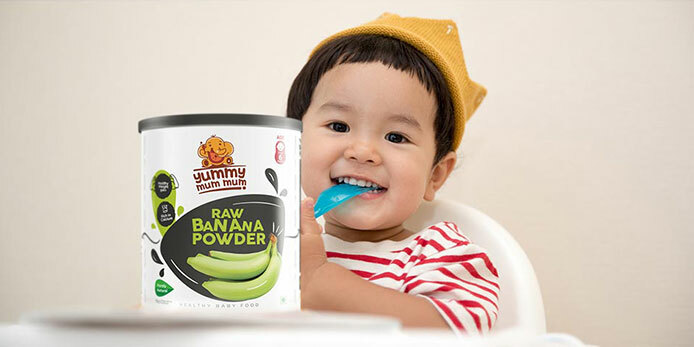 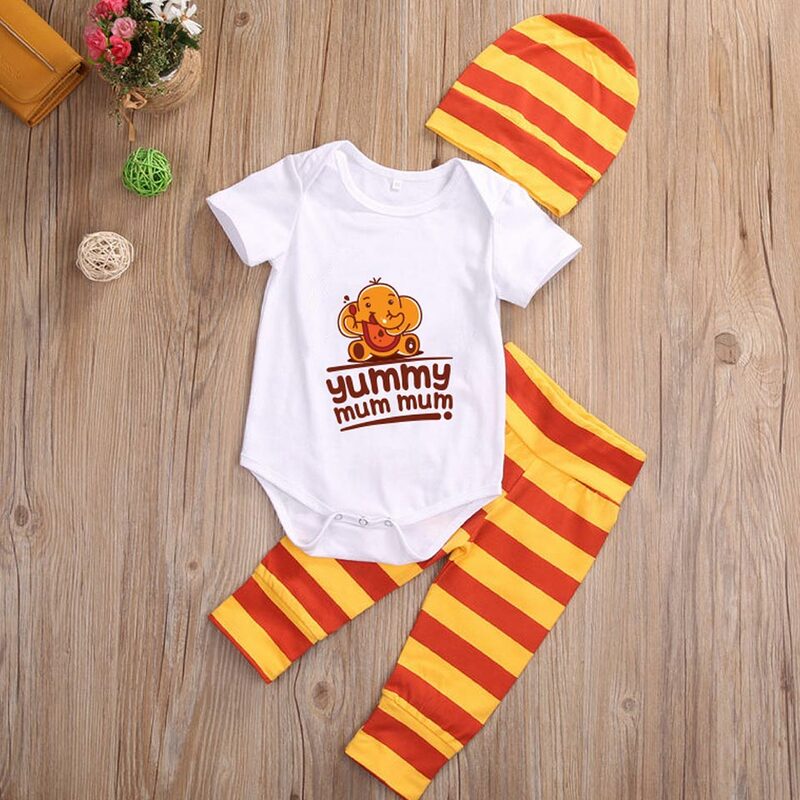 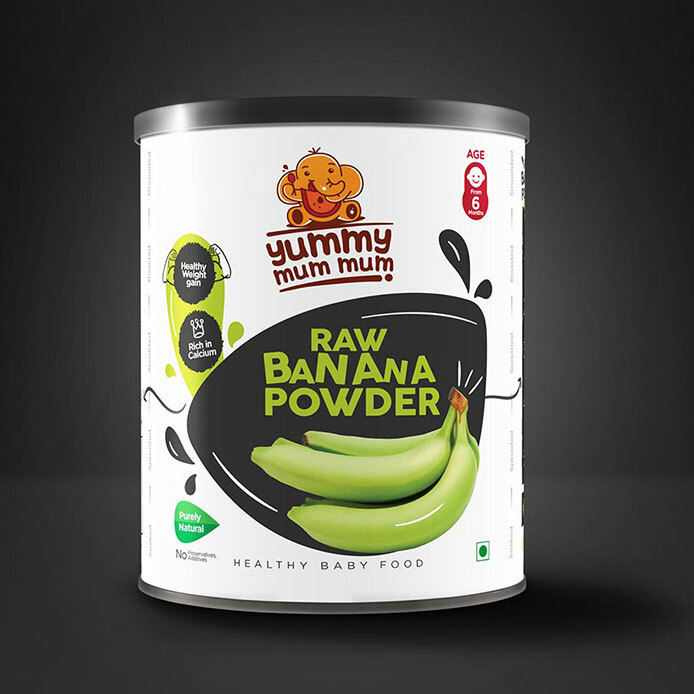 Yummy Mum mum is brand of baby food products which is nutritionally balanced, tasty and easy to cook. 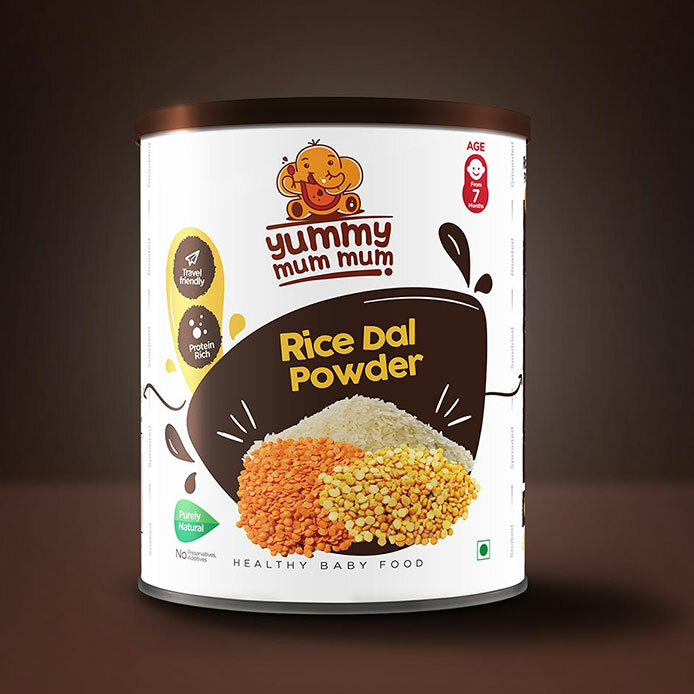 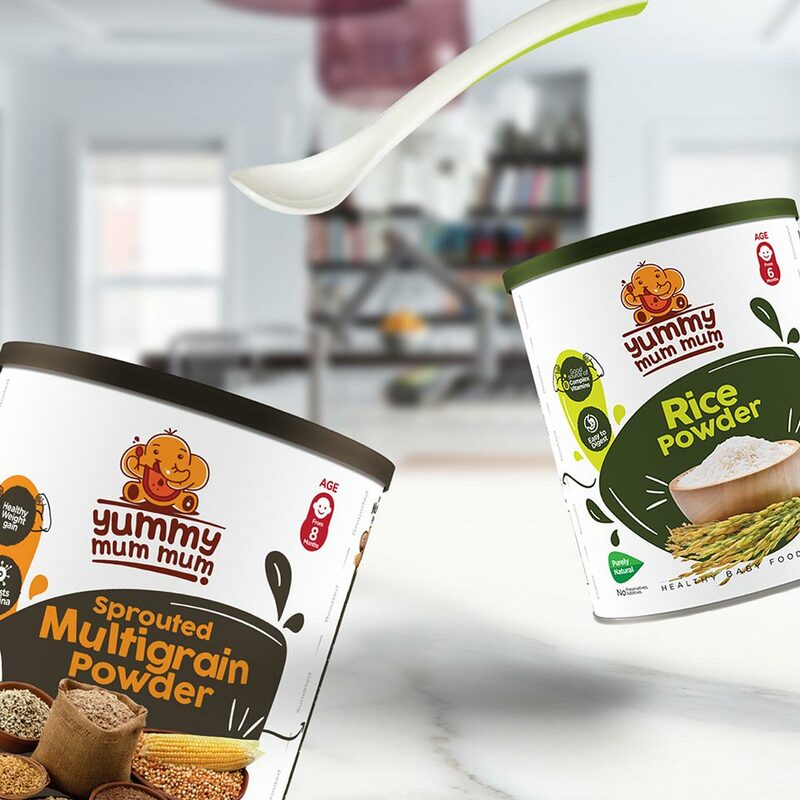 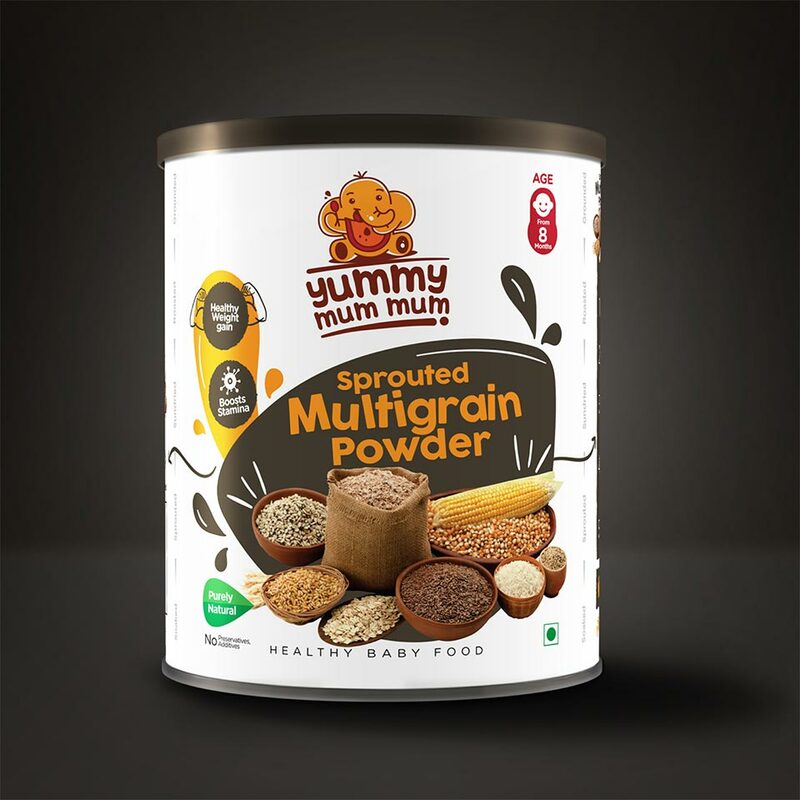 When the founder Ms.Priyadharshini was blessed with a child, she was on constant pursuit to find a baby food, that is devoid of any preservatives or additives, when she couldn’t find one, she prepared it herself by taking cues from the 150 year old recipes. 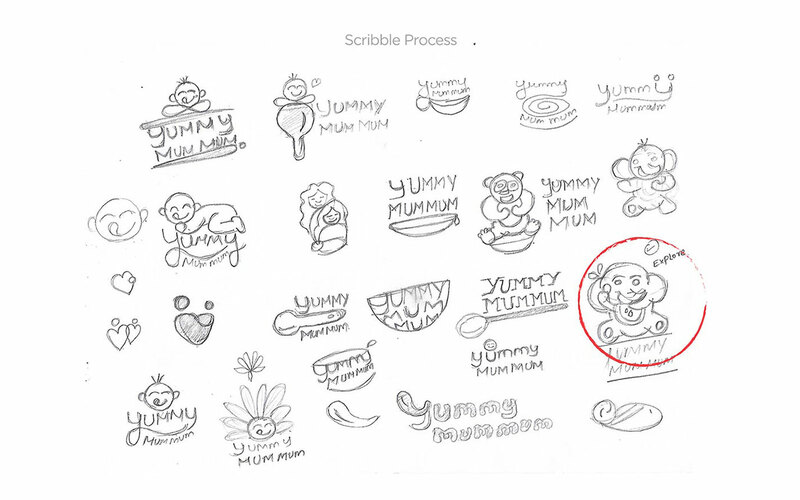 That’s when she thought the problem persists everywhere and wanted it to be solved through her venture. 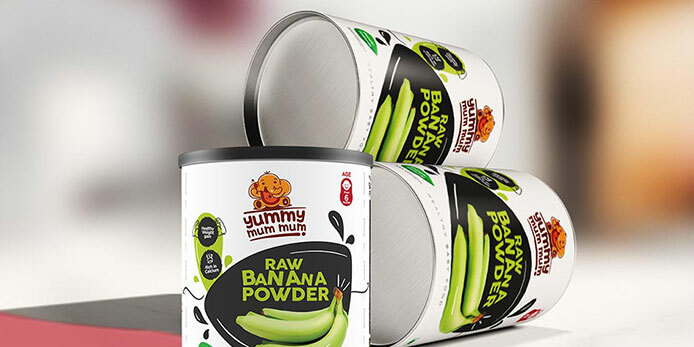 She wanted her products and brand to be well packaged, so that all her customers prefer and refer the products with confidence. 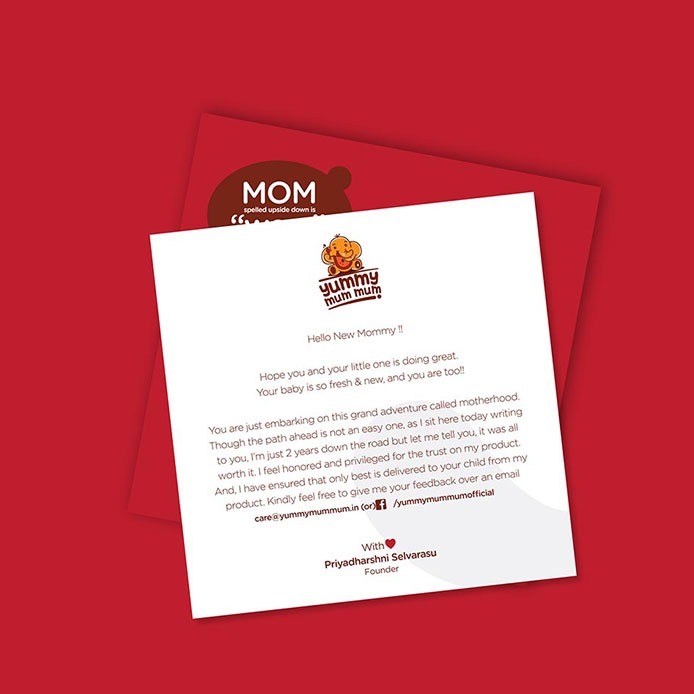 We wanted to build a playful but a professional brand, that speaks to the new age Moms, who are extremely choosy in selection of convenience baby foods. 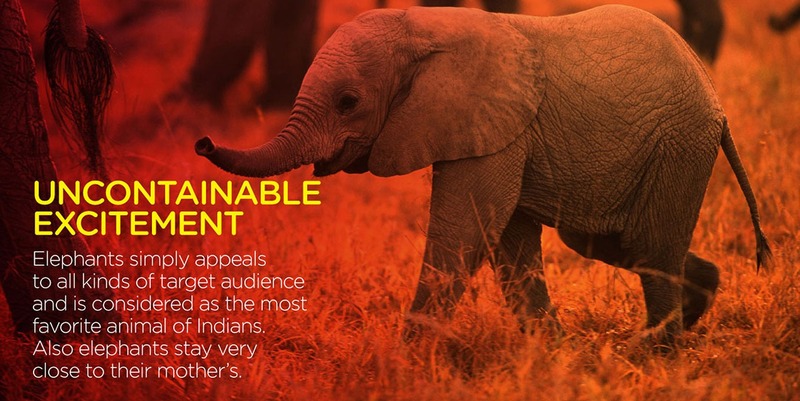 After a brief design storming session, we planned to introduce a Mascot identity (Elephant) for the brand, that touches the mass audiences. 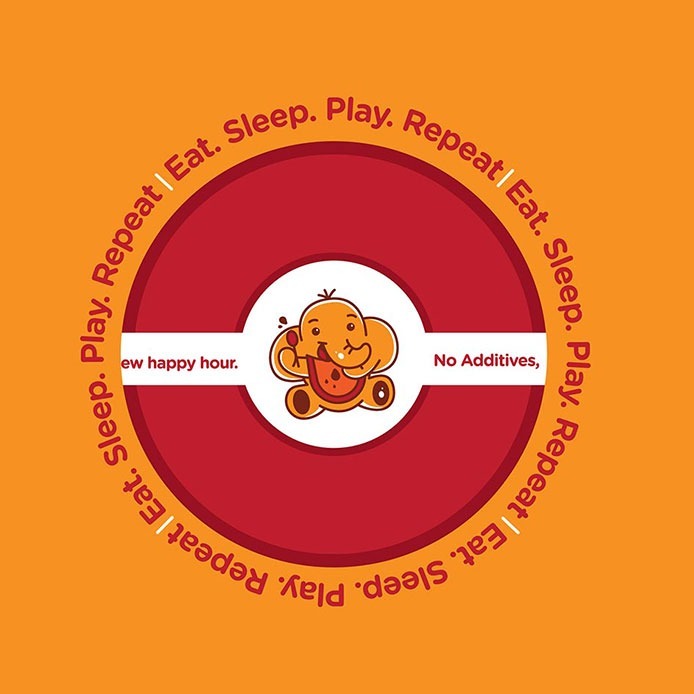 Here the uncontainable excitement of a baby for food is represented in the form of an elephant mascot. 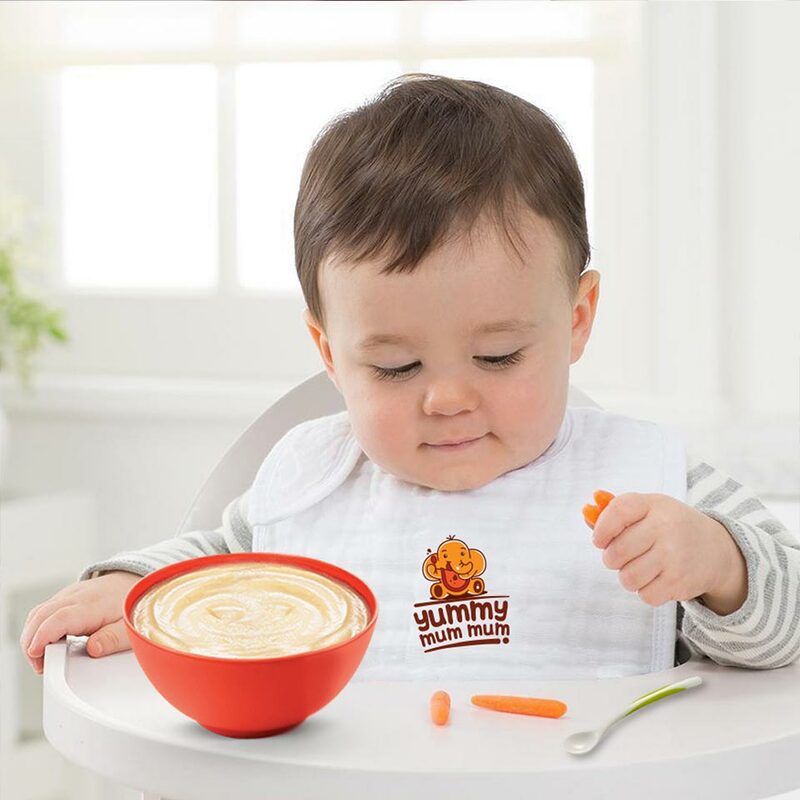 An elephant with spoon and apron ready couldn’t resist the drool while blissfully waiting for the food, and that became a memorable and a distinct brand identity for the brand. 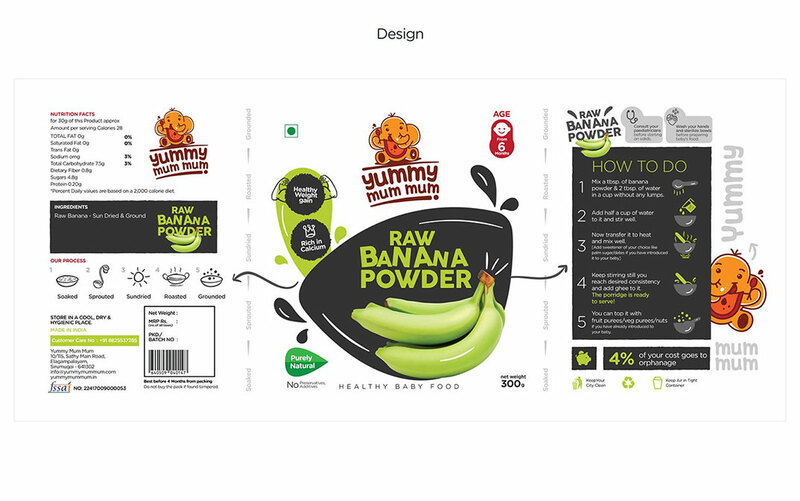 We had the pleasure of walking into the supermarkets for illuminating the research, to design an eyeball grabbing product package, which differentiates itself from the crowd and creates a memorable product experience for all its end users. 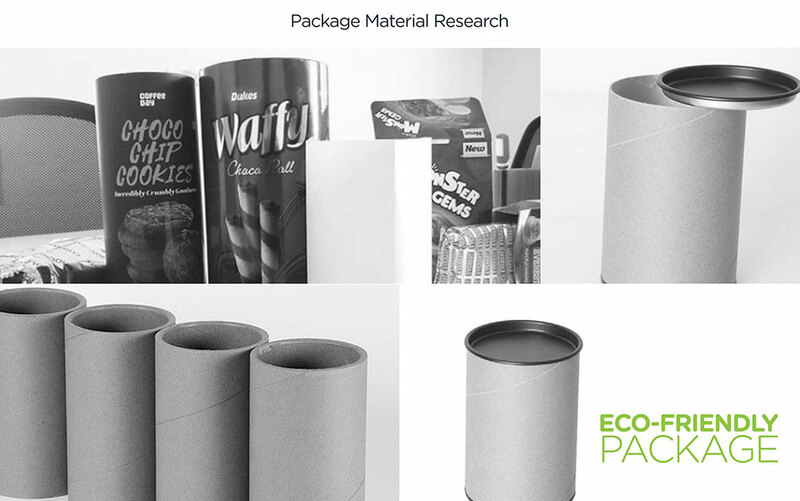 After a brief user research, we came up with an idea of packaging the product in an eco-friendly paper tin container, that are airtight and easy to use. As a tongue in cheek approach, we wanted the package design to be ingredients centric, to enable even the health obsessed Mom to quickly decide on the product. 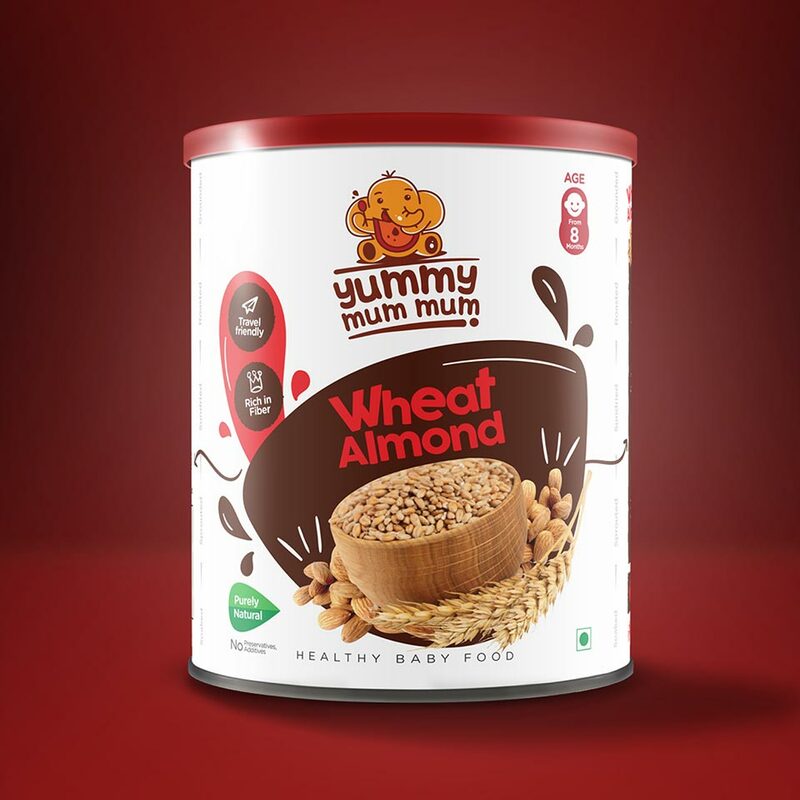 The package was tested among the focus groups, who thoroughly loved the product much before tasting it. 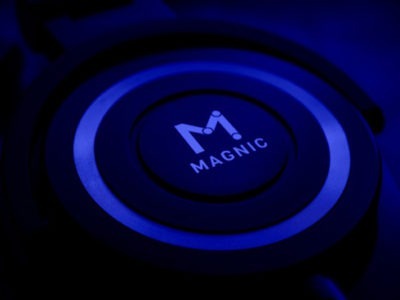 An awesome experience that has added lot of value to my business, especially the discussions with your board was so insightful. 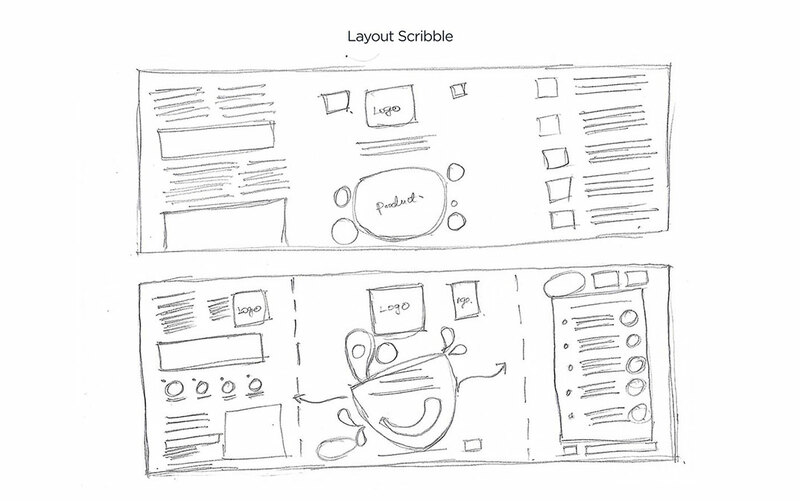 A young team with tons of creativity and your designs had no other choice than to be approved at one shot.